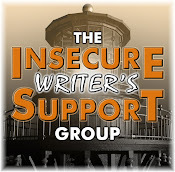 Alex J. Cavanaugh: Double Feature! I just read your reviews of the two movies. I haven't seen either of them. We never go to the movie theater (too costly for us), but the reviews sound interesting and are certainly well written. I'll be back. (new reader of your blog). I enjoyed your double feature. Would you believe the last time I went to the cinema was 42 years ago.I was pregnant with my second child and saw a film which I honestly didn't like. I have seen films on the TV but the cinema is a no go for me. Now the theatre is a different tune altogether. Do you go to the cinema often? Looking forward to see what you come up with for "E"
I'm also wondering if Sam can act or not. I do love him a lot as a presence and as someone who appeared straight from nowhere and started getting all the biggest roles in the biggest movies, but he really is extremely expressionless. I guess he's just a classic action star but without too many muscles. Hope he'll convince us otherwise. Thanks for the reviews. I love the original Clash of the Titans so I'm sure I will be disappointed. Oh wells! I have Up in the Air on my list already but it's good to have a review. The "Blockbusters" can be pretty disheartening, eh? Of course, I was more impressed than I thought I would be with Ironman. Great idea for a 'D' post. I remember Clash of the Titans when I was a teen. It was a fun movie to go see with a group. I hate when they do remakes of anything and either make a drama into a campy comedy, or do like they apparently did with CotT and make it look great, but forget the story. Up in the Air sounds good though. Thanks for the thoughtful reviews. Yvonne, I go several times a month and watch a lot of NetFlix, too. Dez, I am beginning to wonder. Even Arnie had personality. This remake was such a letdown. I am looking forward to Ironman II, though. Anyway, I've been hearing similar reviews on Clash of the Titans. I honestly don't know if I'm going to see it; the old version was a great part of my childhood. Up in the Air is on my Netflix queue. Looking forward to seeing it. 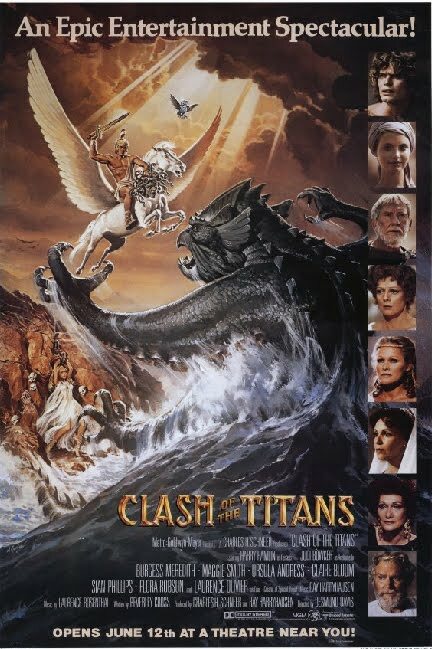 I'll be reviewing Clash of the Titans later this week, but I felt the same way - the movie lacked heart. I love the line "Release the Kraken" from the trailers - but haven't seen the film yet because it looks like it's all effects and no story. That kind of thing drives me nuts. It just goes to show how well written a movie review can be! Looking forward to E !!! I wondered the same about Clash of the Titans... think I'll wait for it to come out on DVD. 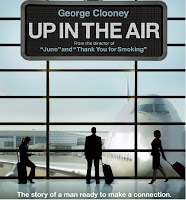 I am glad you reviewed Up in the Air! My husband and I were just talking about whether or not to rent it... I think we will. For $1 at Redbox and an actual date night (even at home), I can deal with knowing endings from a mile away. Date night type movies are usually pretty predictable anyway! i second your opinion on Clash. Saw it this weekend, kinda wish i hadn't. Summer, glad Hollywood celebrates your birthday then! Thanks for the confirmation, Fallen. Fortunately, it's just forgetable enough it won't ruin my memory of the first one. 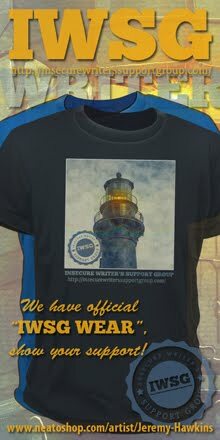 Glad so many of you will be checking out Up in the Air! Wish I would have thought of that one!!!! Double feature... that's a great one!! Thanks for sharing! Thought I'd stop by thanks to A-Z blogging! 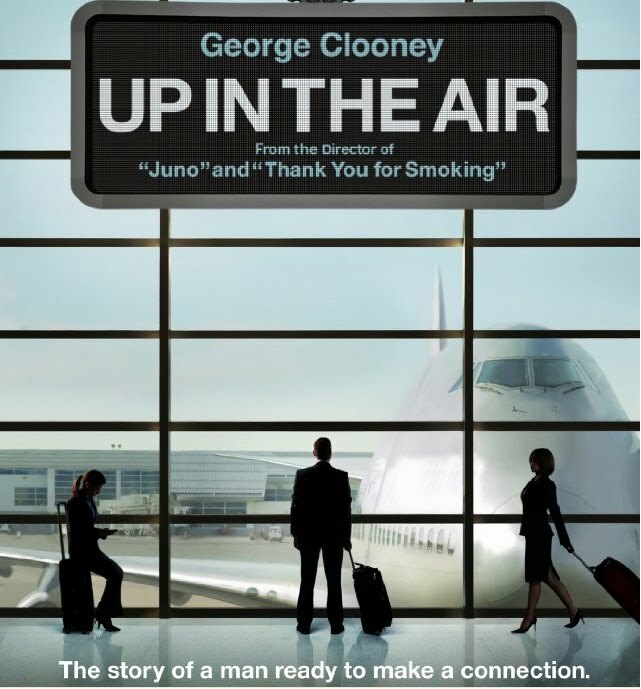 I did like "Up in the Air," but didn't feel like it deserved all those Oscar nods. Then again, I didn't feel like many movies deserved their Oscar nods this year. We watched this movie at our house night before last and have to agree if you're looking for uplifting, this is not a good choice. The acting is good, though, and the story line interesting. And, yes, the ending a bit predictable. Overall, though, I liked it. What's not to like...Clooney's the star. I'm probably going to see Clash of the Titans sometime next week. From your review, it seems to be what I expected from it - a "lets blind the audience with so much razzle dazzle they wont realise we forgot to include substance to the damn thing!" I also have worries about Worthington. He's played a half human in the 3 movies I've seen him in, and feels kind of one dimensional. I only hope that Fiennes' and Neeson's performances make up for this. You know, I was wondering about COTT - updated. I LOVED the original...especially the Medusa scenes. I was on the fence about shelling out cast just to see a CGI showcase...guess I'll wait for the DVD. You know, I had much the same reaction to Up In The Air....except that as a former frequent flyer, he made it look like fun and way easy. It's painful, even with the shortcuts FF status affords. Nice reviews. Hadn't seen any of those films. Thanks for the reviews, Alex. Mostly we wait for the DVD, so I keep a list handy. Awesome, thanks for the info Alex! 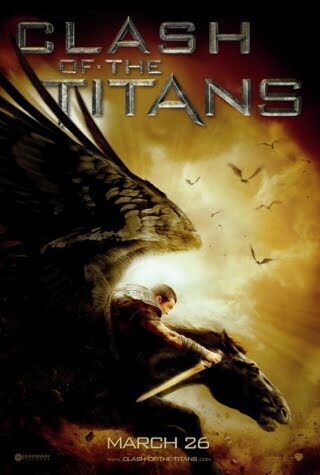 I've been hearing bad reviews about Clash of the Titans, mostly regarding the 3D. I have to admit it made my inner geek cry a little. Good to know Up in the Air is worth the watch... I'll have to check it out. Julie, there wasn't a definite contender for Best Picture this year. Kimberly, stay with the NetFlix on both. Jamie, you got it! I guess storyline was optional. Raquel, if you loved the original, the new one will really disappoint. Galen, thanks for telling it like it is! I ditto Elana, DH is intrigued as well. Thanks for review. One of the reasons I chose to leave the film industry is because of the lack of creativity. The big studios just want to remake what has been done before or saturate everything with CGI. I probably won't see the new Clash but I own a copy of the original and it will always be a classic, even if it has cheesy moments. I was just a kid when the original COTT was released and it was so amazing to see all those wonderful stories brought to life! The medusa gave me nightmares for months afterwards and I'm really curious to see how that scene plays out in CGI, if it's as creepy as the original was for me. I loved the original version of Clash of the Titans. I was so wowwed by it when I was younger. I'm not sure how the new version is I haven't seen it yet. Same with up in the air. I don't get to the movies as much as I did before. I saw clash of the titans this weekend. I was seriously disappointed. I like the old one better. I haven't seen up in the air yet but I am going to. Carol and I have now warned you - if you like the original version of Clash of the Titans, just skip the remake! I'll post up my own review of Clash soon, but I have to say that I more or less agree with you on this one. I'm lucky that I decided not to see it in 3D (I'm getting pretty sick of it now). Sam Worthington was the worst of the players in that film. Neeson and Fiennes are awesome (as expected) and for the first half I got that feeling of exploration and 'the journey' that made some of the older movies great. Then the whole thing went roller coaster on us and there wasn't much to it's core. Still a good movie in my opinion, but only superficially so.